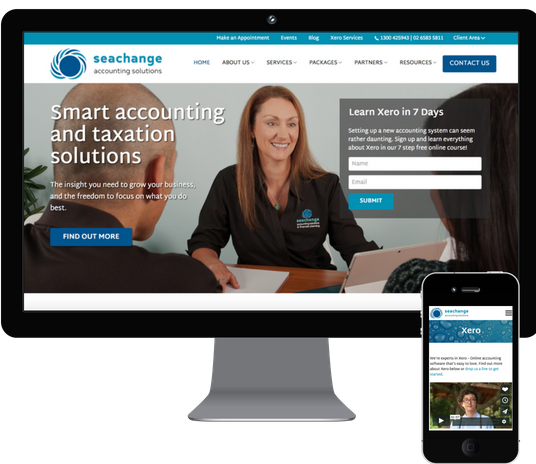 Seachange Accounting is a boutique accounting practice in Port Macquarie, Australia. Sandra Magann leads the team who have over 25 years experience in public practice and small business. Seachange Accounting’s aim is to provide practical, straight-forward advice that’s backed up by technology. With that in mind, they decided it was time to get a new website.